The resurgence of analog synthesizers currently under way has brought an incredible selection of new products to the market, ranging from the relatively inexpensive Korg Minilogue to fully featured battleships like the Sequential Prophet Six by Dave Smith Instruments or the Oberheim Two Voice reissue. Analog synthesizers are experiencing their highest bump in popularity in decades, and along with these new machines, interest in vintage synthesizers is now higher than ever. Of course, when buying any piece of vintage machinery, there are always maintenance and mechanical issues to watch out for. Some of these are easy fixes while others might render a particular synth totally unusable. Today, we're going to explore the most common maintenance and repair issues to watch out for when considering some of the more popular synthesizers still regularly traded on the vintage market. Hopefully, this info will help you make an informed purchase or guide you in what you should be mindful of if you already count one of these models in your collection. One of the most popular vintage synths still found all over studios and on stage today is the Roland Juno 106. Released in 1984, this six-voice DCO-based poly has a unique sound, and while it has seen a reissue of sorts in Roland’s JU-06, there is no substitute for the real thing. The most common problem with the Juno 106 involves the filter chips. These are actually six small circuit boards that are encased in resin — one for each voice of the synth. The wave generator ICs — of which there are three — are also covered in the same resin. When the synth was manufactured, the resin may have been used to help with temperature stability of the circuits but was also likely used to hide some designs from competitors. Over time, the coating can sometimes become capacitive, and moisture can get trapped under the resin causing shorts in the circuits. This results in voices with uncontrolled resonance, unwanted distortion, or no audio at all. 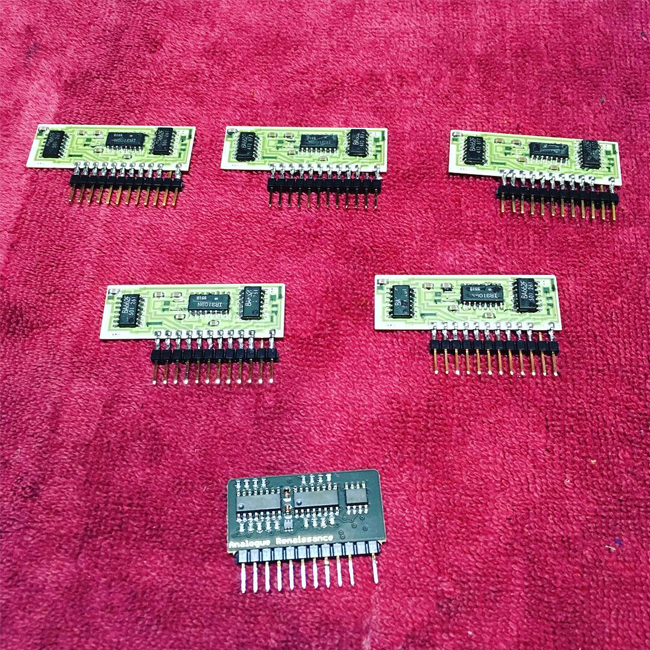 There are now new replacements that can be purchased and installed in place of the old circuits, and these chips sound identical to the originals but lack the resin coating. Another option for the Juno 106 voice chip problem is to remove the boards, soak them in acetone for a few days to remove the resin, and then reinstall. 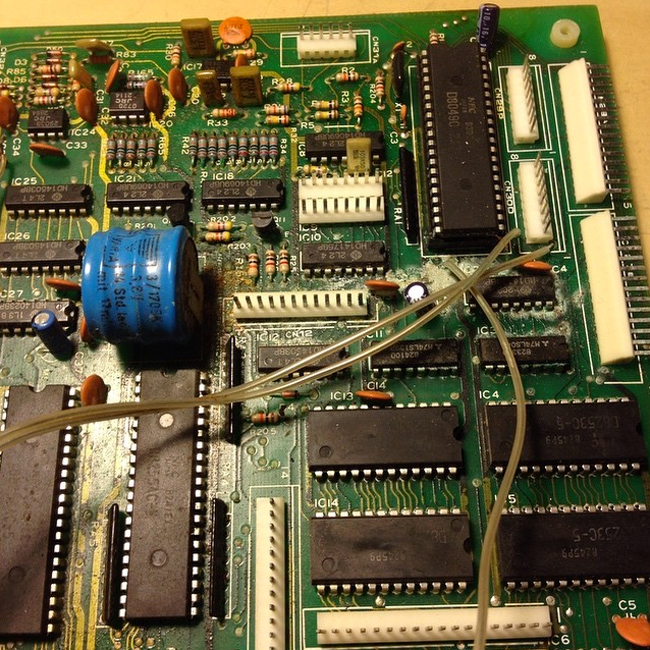 The success rate of this process is usually pretty high, and a company called Synth Spa offers this restoration service for Juno 106 voice boards. When looking at purchasing a Juno 106, it is important to keep in mind that it isn’t a matter of if but of when these voice chips will fail. If they have been stripped of their resin and are working, they should continue to be reliable for years to come. Better yet, find a 106 that sports a complete set of new replacements. Trust me, it’s worth the higher price that these restored synths command. Korg’s ‘80s polysynths have seen a big jump in value over the last five years. The venerable Polysix features six analog voices, SSM filters, and some nice modulation options. Popular with many artists from Keith Emerson to the Japanese indie band Polysics, the Polysix has one Achilles heel that it shares with its DCO-based cousin: damage from battery leakage. An aging, leaking battery is a sort of synth kryptonite and is an issue with many vintage synths and drum machines. Damage from battery leakage is particularly common with these two Korg synths. The battery acid leaks out of the casing and corrodes traces and IC legs. And even if the battery is removed and the parts seemingly cleaned up, the corrosion can continue unless properly treated. On both the Poly-61 and PolySix, the batteries are located on the CPU board (which houses the brain of the synth), and the havoc caused can affect everything from preset storage to parameter control. It is vital to visually inspect these boards to ensure that no leakage has occurred or if it has, that the repair has been done properly and the acid cleaned. Battery replacement is a simple, inexpensive job if no leakage has occurred and should absolutely be done if you suspect your synth has an original battery still installed. Roland’s two iconic silver boxes and classic staples of the Acid house sound — the TR-606 and TB-303 — are incredibly desirable and still very reliable machines. When looking to purchase one, it is important to inspect them for damage caused by leaking C-cell batteries as evidenced by discoloration of the plastic in the battery compartment. If present, there is a good chance some of the acid has leaked onto the circuit board and possibly caused damage to some of the copper circuit traces. The other common issue with these 35-year-old (or more) machines has to do with the tactile switches that are used for programming functions and step selection. The original switches were not as well-protected from dust as today’s modern equivalents. They often double-trigger, require too much force to work, or the contacts can be so dirty that they don’t work at all. While it is a labor-intensive job to replace all of them, you can purchase higher-quality sealed switches from vendors like Mouser for under a dollar each, and most techs should have no problem performing the upgrade. Oberheim’s last premier analog polysynths of the ‘80s are incredible machines with modulation capabilities still not often seen in synthesizers being produced today. Apart from the increasingly rare and expensive CEM chips that are used for oscillators, filters, and VCAs, another point of failure is the three VFD display units found in each synth. Over the years, the display brightness can fade, and while this can be adjusted from within the synth, they can get to a point where they longer function. Manufacturing of these displays stopped years ago, and finding a new old stock replacement is incredibly difficult and expensive. When considering a Matrix 6 (or 12) or Xpander, verify the functionality of the display. At one point, modern LCD replacements were created by Benden Sound Technology, but they do not always stock them. In the early-to-mid-’80s, manufacturers began to move toward preset control and fewer physical potentiometers in favor of cheaper membrane panel switches. The Sequential Circuits Prophet 600, Moog Source, and Fender Chroma Polaris are all great-sounding and desirable vintage synthesizers that incorporated membrane switches in their design. When considering a purchase of one of these models, make sure to test each of the membrane switch functions. Replacement panels can be found, but like many unique vintage synthesizer parts, even reproductions are becoming hard to find, and originals are difficult — if not impossible — to repair. Like other manufacturers, Arp used high-tolerance tantalum capacitors in their power supplies in order to ensure voltage stability in their designs. Electrolytics of the day were far less adherent to their specifications compared to their modern counterparts, and in circuits where specific voltages were crucial to synthesizer tuning, tantalum capacitors were used. Over time, almost any electronic component is capable of failure, but tantalum capacitors tend to fail short — that is, they electrically bridge the points that each leg is soldered to. This can take down power supply rails, lead to other components failing downstream, and generally cause all sorts of havoc. Any vintage Arp synth — the Odyssey, Omni, Axxe, 2600 — will benefit from a rebuilt power supply, and it is strongly recommended, as most of the components are well past their expected lifespan. The Omni in particular has issues with tantalum capacitors not only with the power supply but also in the gate circuits for each key, resulting in stuck notes or notes that won’t sound. In all cases, it is recommended that these capacitors be replaced on these synths. In 1982, Moog manufactured the Concertmate MG-1 for Radioshack’s Realistic brand. A fantastic two-oscillator monosynth, the MG-1 was marketed to the home consumer, and Moog had to use cheaper parts in some cases to keep the design in line with the profit margins requested by Radioshack. Unlike other Moog products, the MG-1 had a layer of black foam between the controls and the back of the main panel in an effort to protect the sliders and potentiometers from dust and debris. Unfortunately, the chemical structure of this type of foam becomes unstable over time, resulting in a substance more sticky and tar-like than foamy. This foam is usually responsible for sliders that are almost impossible to operate and switches whose contacts are too dirty to operate. The foam can be cleaned, but it takes a lot of time, isopropyl alcohol, and effort. And often, components still won’t be brought back to working condition, despite the cleaning. 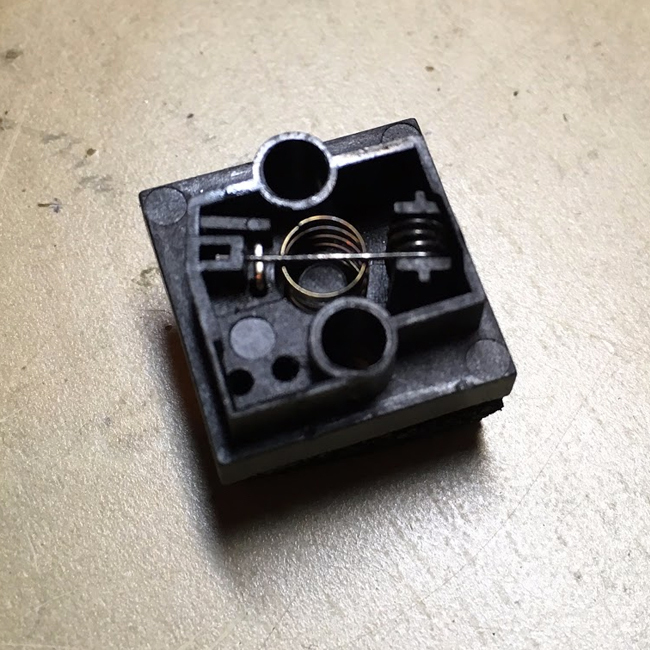 There are a few vendors that sell reproduction switch and slider kits for the MG-1 and synths that have this foam cleaned, and replacing those components altogether is a far more desirable solution. 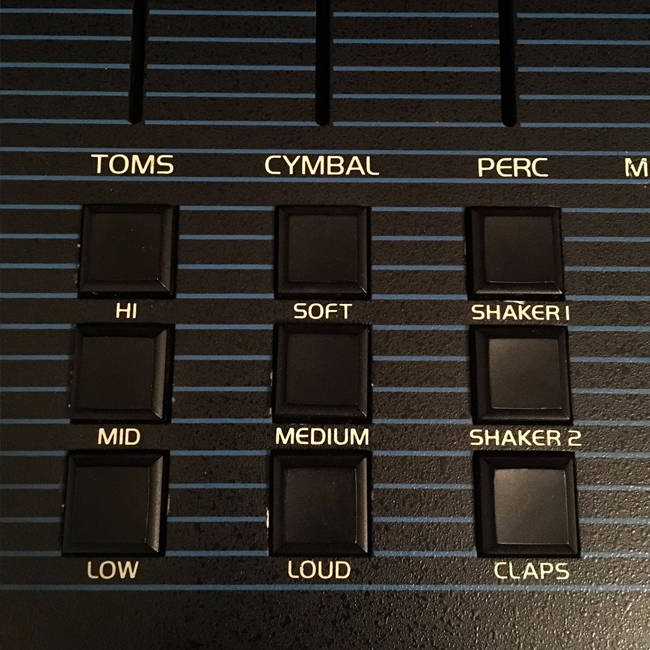 Classic early beat boxes and samplers, like the Oberheim DX/DMX and E-MU Systems SP-1200, SP-12, and Drumulator, all share a switch mechanism that can suffer from issues with dirty switch contacts. These issues can manifest in the switches double-triggering, requiring too much force to trigger, or not triggering at all. Luckily, in most cases, the switches can be cleaned and restored. These switches haven’t been manufactured in decades, and replacements are hard to find. Paul White, who runs Electrongate and is one of the best authorities on Oberheim DX/DMX repairs and mods, has a very thorough video tutorial on how to restore these switches, which you can watch here. Oftentimes, vintage synths will suffer from a non-functioning or dead key. Many vintage synths — including the Roland Juno 106, Roland JX-3P, Korg Polysix, Korg Poly 61, Sequential Circuits Prophet 600 — and many modern synths share a similar key contact design. They keys push down on small rubber buttons that are connected to each other in a strip. On the underside of the button is a small carbon contact that, when depressed, connects two traces on the keyboard circuit board. Often, dead keys are a result of the key contact being dirty and can usually be fixed by cleaning the circuit board side of the contact with isopropyl alcohol. There are also products that can be used to restore the carbon contacts on the rubber plungers. There is a lot to think about when purchasing a vintage synthesizer, and these are just a few of the most common issues. Any piece of vintage equipment will require basic servicing and upkeep, but when properly taken care of, a vintage synthesizer can be reliable and important part of any musician’s sonic arsenal.